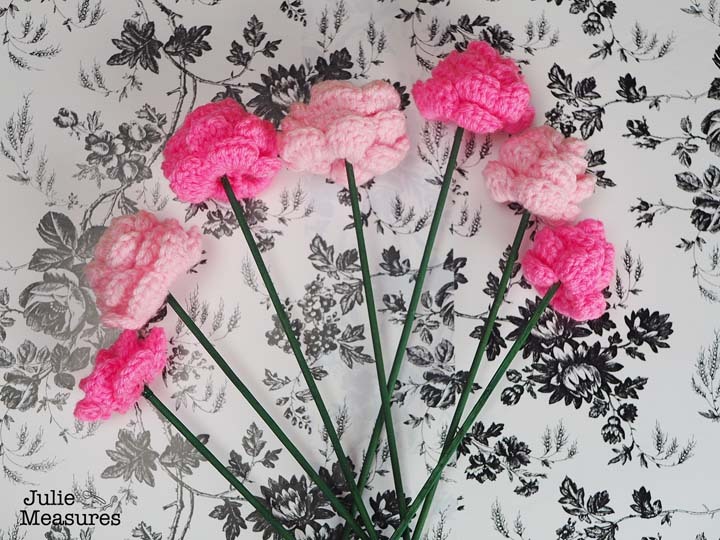 A crochet floral bouquet that doubles as a conversation starter? 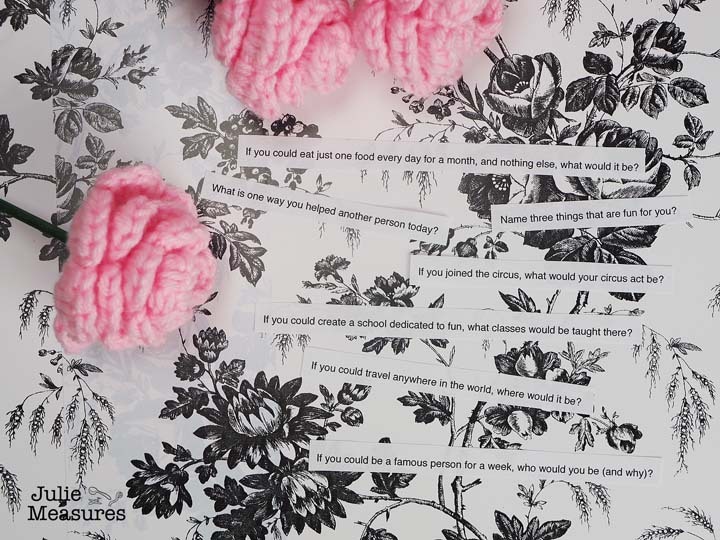 Dinner conversation questions, paired with a simple crochet flower pattern make any meal a gathering to remember. We have dinner at home together nearly every night. But I have to be honest. By the time Friday rolls around I’m tired. 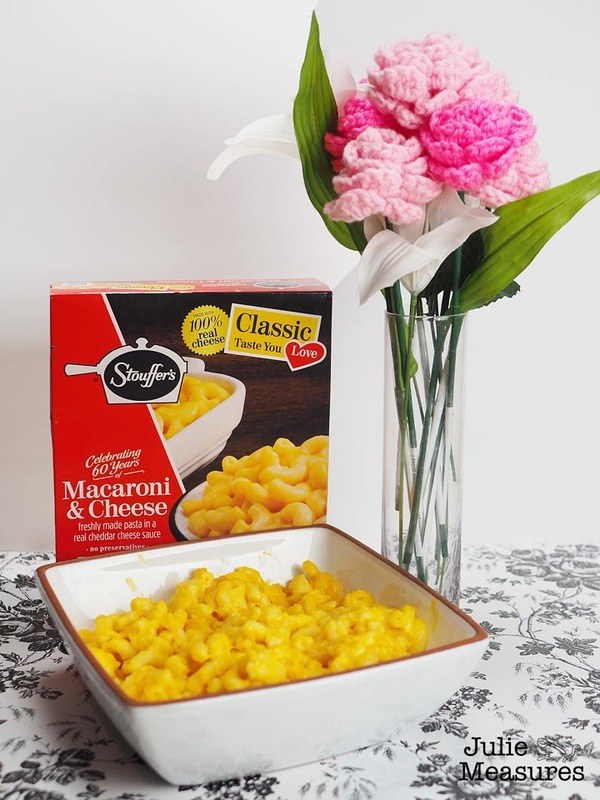 STOUFFER’S® Macaroni & Cheese Family Size entrée at Walmart makes a Friday night, or any weeknight meal, quick and easy. 30 minute meals are my favorite, and it’s even better when the kids can help make dinner and set the table. With the arrival of spring I thought it was time to stitch up a fun crochet floral bouquet for my table. These flowers have a secret though, attached to each is a dinner conversation question. A fun way to get the dinner conversation started. Shopping made easy! Just hover over the photo above in order to click through and purchase the items. 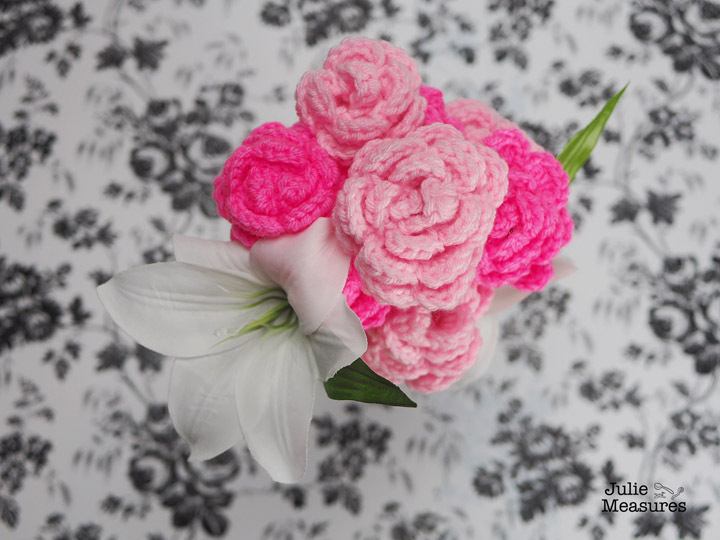 I love crocheting flowers, but these in particular were inspired by the way that you make felt flowers. Essentially I crocheted a scallop that curved around on itself. 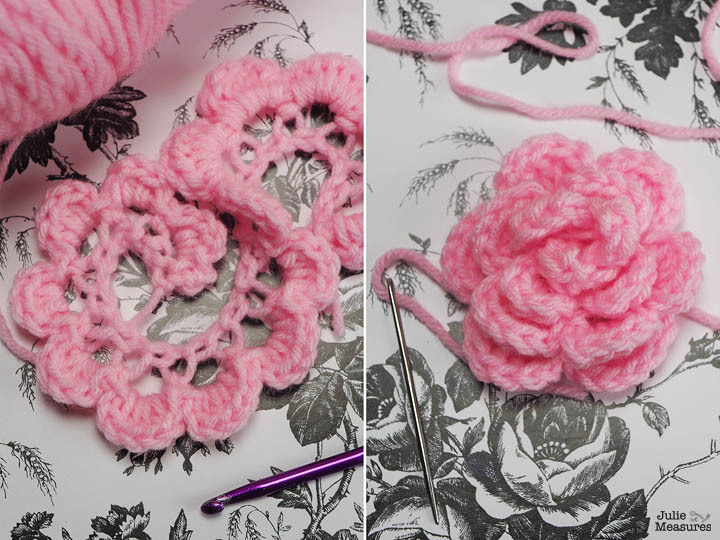 To assemble the flower you just twist it up and then stitch it together. Start by chaining an odd number. In order to make different sized flowers I chained varying lengths. For these flowers I started with chains of 51, 41, 31, and 21. No matter what number you start with the pattern is the same. Row 1 (after the chain): Chain 1 and single crochet into second chain from hook. *Chain 2. Skip next chain stitch and single crochet into the next stitch. * Repeat from * to * until the end of the row. Row 2: chain 1 and turn. All in the first chain 2 space – Single crochet, half-double crochet, single crochet, chain 1, slip stitch. In the next chain 2 space slip stitch, chain 1, single crochet, half-double crochet, single crochet, chain 1, slip stitch. In the 3rd-5th chain 2 spaces – Slip stitch, chain 1, 3 half-double crochets, chain 1, slip stitch. In the 6th-10th chain 2 spaces – Slip stitch, chain 1, 4 half-double crochets, chain 1, slip stitch. In the 11th-15th chain 2 spaces – Slip stitch, chain 1, half-double crochet, 3 double crochets, half-double crochet, chain 1, slip stitch. This makes the scallops, your future petals, grow larger as your work down the chain. When you twist the flower make sure the smaller petals are in the center, working towards the outer, larger petals. Once your flower is crocheted and stitched together I used hot glue to attach my flowers to green plant stakes that look like stems. 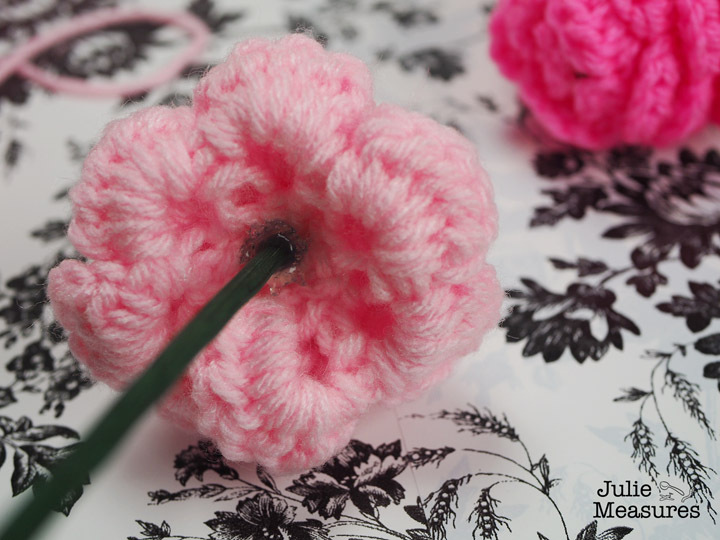 A beautiful crochet flower bouquet! If you could create a school dedicated to fun, what classes would be taught there? If you could be a famous person for a week, who would you be (and why)? If you could eat just one food every day for a month, and nothing else, what would it be? 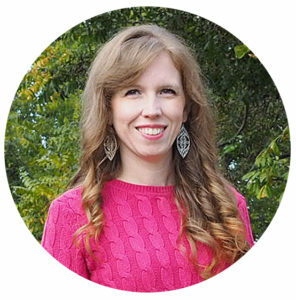 What is one way you helped another person today? I’m also using the comfort of STOUFFER’S Macaroni & Cheese and pairing it with something a little out of my family’s culinary comfort zone. While Stouffer’s is the perfect pairing with any fish dish, I’m using it to go with some simple crab cakes and colorful cauliflower. The crab is a twist on the salmon cakes I frequently serve, and the colorful veggies are just a slight twist on my kids favorite broccoli. 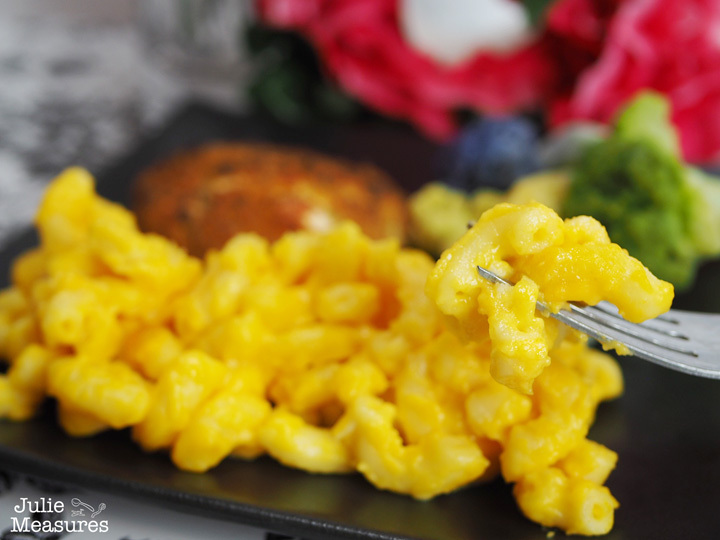 If Fish Friday is a tradition at your house, STOUFFER’S rich, melty macaroni is your perfect side dish. 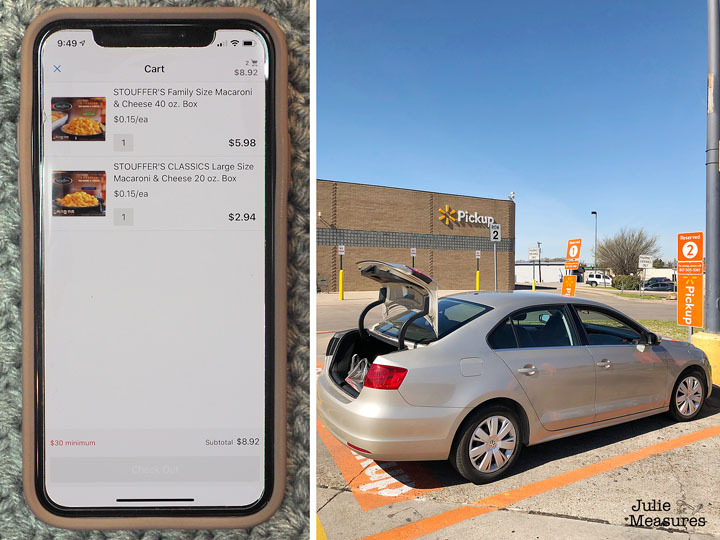 In fact, it’s never been easier to bring home creamy cheesy goodness with your Friday fish with STOUFFER’S, available through Walmart Online Grocery. 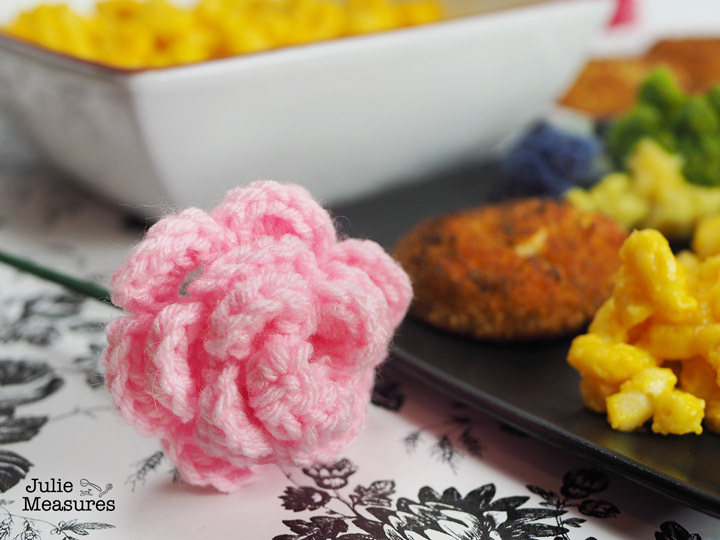 With an easy dinner on the way and your dinner conversation questions ready you can assemble your crochet floral bouquet centerpiece. 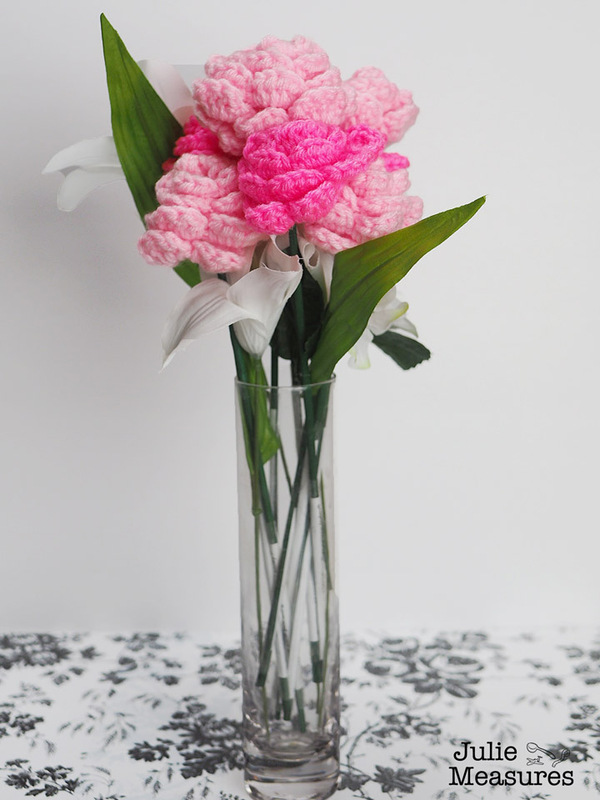 I paired my crochet flowers with a few other faux flowers and put them in a simple vase. You can let each person draw a flower when they sit down or take turns during the meal. A delicious dinner pairs perfectly with great conversation. I like letting the kids go first, drawing one a time and seeing where the conversation takes us. Sometimes everyone likes to answer each question, with the person who drew answering first. If you have guests over for dinner it’s a fun way to get to know each other better! 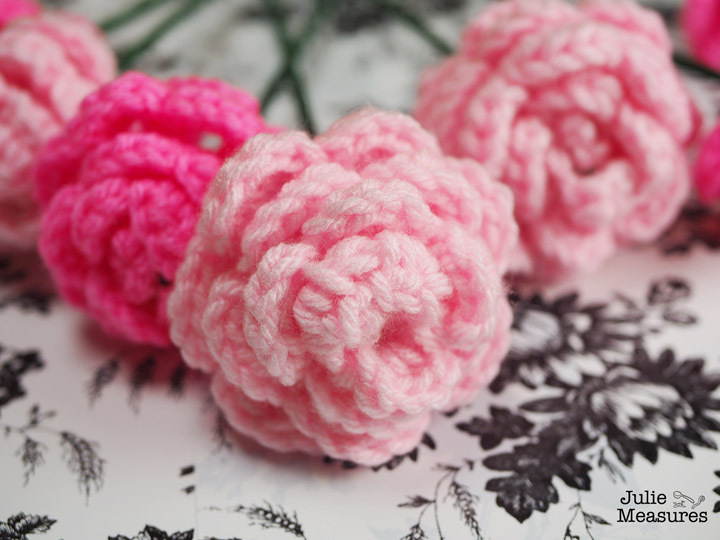 Dinner conversation questions, paired with a simple crochet flower pattern, can make any meal a gathering to remember. Make mealtime easier! Start by by utilizing Walmart’s Online Grocery for some STOUFFER’S Macaroni & Cheese.